PHILADELPHIA, PA – April 26, 2017– Janney Montgomery Scott LLC (“Janney”), a leading full- service wealth management, financial services and investment banking firm headquartered in Philadelphia, Pa., announces today announced that David B. Moss, Vice President/Wealth Management, has joined Janney’s Fairfield, CT branch office. Moss is joined at Janney by Lindsay M. Pereguda, Senior Registered Private Client Assistant. Moss and Pereguda were previously affiliated with Wells Fargo Advisors. 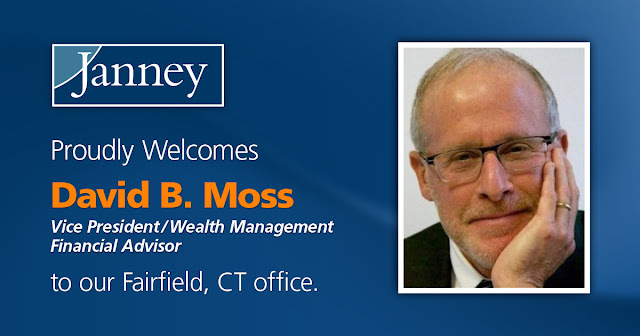 Moss, a 17-year industry veteran, is entrusted with over $90 million in client assets. He is a SUNY Oneonta graduate and earned an MBA in Financial Management from Pace University. 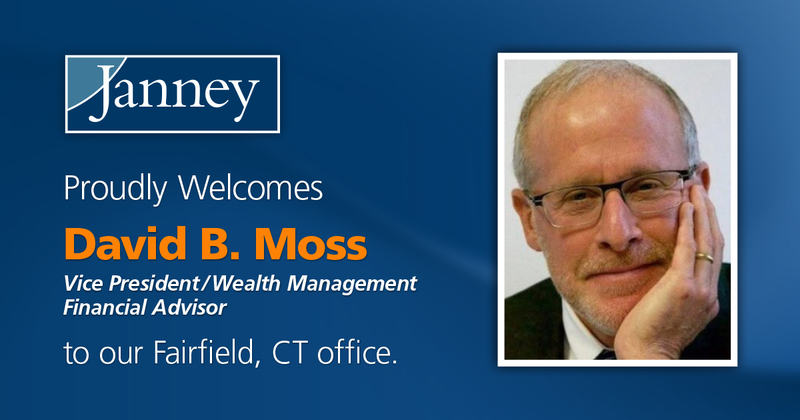 He is the 10th experienced financial advisor to join Keith’s complex, which includes Fairfield, Glastonbury, Mystic, New Haven, and West Hartford, in the past twelve months. Janney’s Fairfield, CT branch office is located at 2150 Post Road, 2nd Floor, Fairfield, CT 06824. Janney provides advice to individual, corporate and institutional clients. Our expertise includes guidance about asset management, corporate and public finance, equity and fixed income investing, equity research, institutional equity and fixed income sales and trading, investment strategy, financial planning, mergers and acquisitions, public and private capital raising, portfolio management, retirement and income planning, and wealth management. Janney is an independently-operated subsidiary of The Penn Mutual Life Insurance Company and is a member of the New York Stock Exchange (NYSE), Financial Industry Regulatory Authority (FINRA) and Securities Investor Protection Corporation (SIPC). Additional company information is available at www.janney.com and @Janney1832.